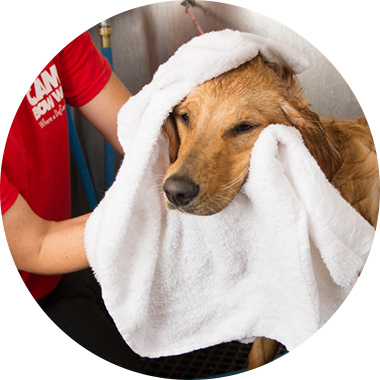 Contact us at (317) 794-3647 to learn more about our dog grooming services. Bath, brush and blow dry. Available 7 days a week. Bath with Furminator shampoo and conditioner, blow dry and Furminator brush. Available 7 days a week. Bath, Brush, Blow Dry, Nail Trim, Ear Cleaning, & Teeth Brushing. Available 7 days a week. Includes bath, brush, hair cut, nail trim and ear cleaning. Available Thursday thru Saturday by appointment only. Available Thursday thru Saturday by appointment only. Additional Fee to other service. Available 7-Days a Week by One of Our Certified Camp Counselors.